Petit Larceny is one of the most common criminal offenses in Rochester, NY. There are six different degrees of larceny (theft) under the New York State Penal Law, and Petit Larceny (shoplifting) is the lowest level offense. Nevertheless, Petit Larceny is still a Class A Misdemeanor punishable by up to a year in jail, so it needs to be treated seriously. 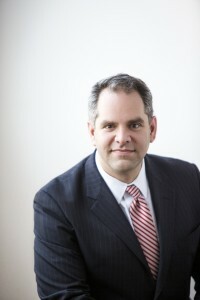 Attorney P. Adam Militello, Esq. regularly represents clients in Rochester and the surrounding towns – especially Victor, Greece, Henrietta, and Brockport – who have been charged with shoplifting (Petit Larceny), and we can help you – whether you were accused of shoplifting at Eastview Mall, Marketplace Mall, Greece Ridge Mall, WalMart, Wegmans, Kohl’s, or any other store in the area. NY Penal Law § 155.25 states “A person is guilty of petit larceny when he steals property.” This is a pretty broad statute, but it typically covers the theft of any property valued up to $1,000.00. Theft of property valued at over $1,000.00 will result in a felony charge. The fine for Petit Larceny is between zero and $1,000.00 plus a surcharge of $205.00. You can spend up to a year in jail or be put on probation for 3 years. If you are convicted, there is a DNA fee of $50.00 and you must submit a DNA sample to the NYS DNA Database. Let’s make sure that doesn’t happen to you. Can I be put in jail for Petit Larceny? Yes. Different courts and law enforcement agencies take different approaches to shoplifting. Some police officers will issue an appearance ticket and release you. Other officers will immediately bring you to a police station for fingerprinting and then ask the desk officer to set pre-arraignment bail. (See CPL 150.30). Petit Larceny is a Class A Misdemeanor, so the desk officer may set your bail up to $500.00 – even if the item you allegedly took was a $5.00 stick of lipstick. Eastview Mall sits in the jurisdiction of Victor Town Court, and that court regularly begins with a half-dozen defendants, all in shackles and jumpsuits, who have been arrested for shoplifting at Eastview Mall and were unable to post bail. What kind of punishment am I likely to get? Different judges also have different expectations about the types of plea deals that may be approved. In some jurisdictions, a common outcome for a charge of Petit Larceny against a person with no prior history of arrests is called an ACD, or Adjournment in Contemplation of Dismissal. 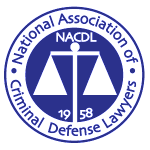 When a judge grants an ACD in a Petit Larceny case, the defendant needs to stay out of trouble for six months, after which time the case is simply dismissed. As part of an ACD deal negotiated between your lawyer, the prosecutor, and the judge, there may be a community service requirement. You need to finish the community service during the time period given by the court, or your case can be reopened and you can be prosecuted. The court may also issue a temporary order of protection, keeping you away from the store or shop owner who was allegedly the victim of the Petit Larceny. If this is not your first Petit Larceny arrest, you will quickly see that prosecutors and judges are not terribly interested in giving you a second chance. Many judges will want to put second-time offenders on probation or will want the defendant to serve weekends in jail. A third conviction will almost certainly result in the judge wanting you to serve some straight time in jail, so be certain to make a good decision when you are deciding on who to hire as a defense attorney. I received a letter from a lawyer who works for the store – can the store sue me? Yes. There is another consequence of being charged with Petit Larceny, and it is the civil lawsuit that may be brought on the heels of the criminal prosecution. NYS General Obligations Law § 11-105 (Larceny in mercantile establishments) allows merchants to bring civil lawsuits against persons who steal from their stores. Merchants can recover the amount of the stolen goods (typically up to $1500.00), plus a penalty of up to five times the value of those goods (typically not to exceed $500.00). Wal-Mart has hired a law firm downstate that seems to do nothing but send demand letters to people accused of shoplifting. When you hire The Militello Law Firm to represent you on a criminal charge of Petit Larceny, we also send a letter to this law firm telling them that we represent you, that they cannot communicate directly with you, and that they need to send all future correspondence to us. That usually makes them go away because the cost of suing a person in small claims court often exceeds the amount they can recover. Petit Larceny charges are serious, but the consequences can be managed by a good defense attorney. Whether you need to go to trial because you are truly innocent, or whether you need a good criminal lawyer to work out a deal and manage the consequences of your actions, we can help. We have successfully represented people charged with Petit Larceny in courts all around the Rochester area, and we can help you. Contact us at (585) 485-0025 for a free telephone consultation and case evaluation.